I was inspired to write this post after i listened the recent episode of the Jaded Gamer Cast where the topic of the new Wh40k Psykic phase was discussed. During the discussion a number of excellent points were made about the way the phase works, i want to repeat what i thought were the key points made during the show ,so that they reach a wider audience, as well as add my own thoughts about the Psykic Phase. The Dispel Mechanic is awful. For those who don't know the way casting powers works is that each power has a number on it, and this represents how many 4+s you need to roll in order to cast it. To dispel a power you need to roll a number of 6+s equal to the amount of 4+s they rolled. Now there things that modify that 6+ roll but if you are say Tau or Dark Eldar and don't have any access to psykers then there is nothing you can do about changing that 6+ and all you can do is look grumpy as your opponent stomps you with his powers. During the discussion the point was made that the best psykic defense was hoping that your opponent rolled poorly and didn't get enough 4+s to cast the power, and i think we all can agree thats a awful psykic defense. As the majority of this blog's audience is WHFB players i think we can see just how bad the dispel mechanic is and just how much the psykic phase favors casting over dispeling. To make matters worse many of the pyskic powers have been changed making them closer to their fantasy counterparts in terms of power and impact on the game, imagine having to use such a bad dispel mechanic against someone casting Dwellers at your White Lion bus. As many of the codex in Wh40k were written for 6th the psykers were priced on what they could do in 6th, which wasn't much compared to 7th however now they can do alot more and are still very cheap. During the show it was pointed out that WHFB wizards cost more than combat characters, and that a tooled up Level 4 wizard cost around about 400 points, depending on your army (a tooled up level 4 Wood Elf Wizard costs about 300) and in addition the wizard usually has a pretty bad stat line. In 40k many armies can buy a tooled up psyker for about 190 (thats a level 3 chaos sorcerer with a lot of gear and no special items). Imagine what WHFB would be like if tooled up level 4 wizards cost 190 points. I mentioned it briefly in the first point but Tau and Dark Eldar have no access to psyker or psyker defense. This isn't like Dwarves where they cant cast spells but they can defend against them, these two races have nothing to do with pyskers and will now b at a huge disadvantage when facing psyker heavy armies. And before people jump up and say "But they can take allies" i dont care, an army should be able to do well and have a good chance at winning without allies because that shows the codex is well written, also having an allied detachment has a big price tag, and if all Dark Eldar and Tau players are now forced to get allies or suffer in the psykic phase then thats unfair and shame on GW for forcing them to do that. So there are the 3 main point bought up during the podcast that i thought were worth repeating, the rest of the show is just as good and i recommend anyone who is interested go and listen to the rest of the podcast (Linked Here). Now for my own contributions. It baffles me how GW can get the magic phase so right in WHFB and so wrong in Wh40k. When writing the psykic phase rules did anyone play test the rules? And if so how did this get through? The only way this makes sense to me is if 7th edition codexs come with a ton of cheap anti psyker defenses but that will require GW redoing its entire 40k range before everyone is on a level playing field, i feel sorry for all 40k armies because most of the 6th edition codexs will have to be re-written in order for everyone to have decent psykic defense and some of those codexs wont be redone for a while so those players will have a hard time of it while waiting for their anti psykic defense. And games of 40k will see more psykers, the new powers are now on the same level as Fantasy spells, you would be mad to not take at least one psyker in your 40k army, they don't cost much so go nuts. I have recently sold of all my Wh40k models and 7th hasn't made me feel remorse for doing so. 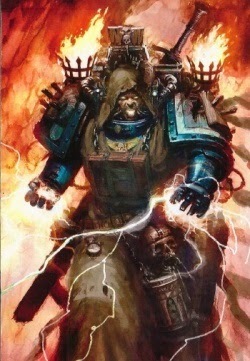 7th edition 40k doesn't have enough changes in it to justify the $165 (NZD) price tag, that is a fact and cannot be disputed, i don't usually make statements that strong so that should give you an indication of how firmly i believe this. And on top of that the balance issues i had with 6th weren't addressed and in fact were added. The best thing to come out of Wh40k 7th edition is that i now have more money and time to focus on WHFB, which i hold to be the better game in terms of balance and overall rules. And thats about all i will say about 7th edition 40k. It is possible that somewhere down the line i may find a army i like and get back into it but its unlikely, all the current Wh40k armies i like still have 5th edition codexs and i refuse to go through what i went through with the Wood Elves in 40k. I wish everyone who enjoys 40k the best of luck with the new edition and hope that the game they love will someday get fixed so that they can enjoy a balanced game system. Until next time. For example my army to use on thursday has between 6-11 power dice a turn. Depending on my powers I will probably get 1-3 powers off a turn if im lucky. The old rules had it that I could cast a whole lot more. So although the dispel mechanic is worse, the casting is also bad. With a warp 1 power, you have a 50% chance of casting. All psykers Ld8 or over have been nerfed as a result in terms of casting. Let alone how easy it is to peril if you want to increase the odds of casting. So if the dispel mechanic was better powers would have an even slimmer chance of going off than already is the case. So in a normal game (I.E what 99% of people would be taking) Psykers mean little. They may get off a decent power every so often but its nothing on the level of Fantasy magic. So for any list not built around maximizing warp charge, there is gonna be little happening in the psyker zone. However, the problem starts when you have lists that are solely made to "farm" warp dice. For example Demons, Grey Knights and maybe Orks (if rumors are true) are capable of generating a huge amount of dice per turn. Some of them in the regions of 30-40 dice a turn. It has not yet been put to any decent practice, but in theory a list like that can really devastate enemy units or buff/conjure units reliably. But lists like this cost a lot of money. As they need a lot of models to really make good use of their potential. In a normal game you will probably see (assuming a warp charge of under 10 initially, which is most armies) 1-3 powers go off a turn. Even then it can back fire. Ill show you on Thursday, Psykers are pitiful unless they have a list made around them and the guy has all the right models to even do it. Overall there is little to fear. Well the modifiers make it easy. But I think your over estimating not only the powers but the ability to cast also. I'll do some test's tonight using my standard psyker guard list and show how not scary it is. If it where any easier to dispell then psykers would such far worse than they do already. So considering that there is no cap to the amount of dice you can throw at any one power you are guaranteed one power per Psykic Phase, and there isnt a damm thing your opponent can do about it. I am not taking about getting off multiple spells per phase, hell all you need to do is cast invisibility on the same squad for the whole game and that squad will be a issue. If this was WHFB not only are you capped at 6 dice per spell but your opponent has a good shot at stopping you (if all you did was cast one power per phase). I don't have the rule book in front of me but pick the most powerful power you can find in that book and imagine what it would be like to cast it once per Psykic phase with no chance of the enemy stopping you. You are ignoring perils. More dice = dead psyker after 2 turns. So sure the enemy can chuck 7 dice into a squad for 2 turns (3 for some, one for others) and he'll be dead rather quickly. Which is great. You also have to hope to even get those kind of spells to add to it. The best tactic to fighting psykers is to pretty much let them kill themselves. Invisibility needs 2 4 pluses to cast, so you'll want 4 dice at least to cast it (more than the psyker alone can generate) and thats to have a 50/50 chance. Then the enemy has a minute chance of dispelling it, then the psyker has to hope not to perils. If it does this for more than 2 turns it has a high chance of being dead. Especially if you want to be safe and commit more than 4 dice to increase your 50% chance of casting it. Nullifying the power isnt great, but neither is casting them. This psykic phase is quickly cooling down and already people know that to rely on them is a waste of time. For both casting and defending. Unless of course you have 40 dice in the pool. So do a test now, grab 4 dice and cast invisibility. See how many double 6s you get (for perils) and how many pass and fails you get. You need 2 4+ out of 4. You wont cast that many. Or even pick a psyker, generate dice then use them all for invisibility and see how many perils he gets after multiple turns of using all the dice for one power. Its suicide really. The only problem with the phase is the fact some armies can farm them. Other than that, its pretty much gonna be forgotten for any non farm list. So what if you face an army that is built to do well with in the psykic phase? What if you face an eldar, grey knight or demon player who has tons of cheap level 2 psyker? Your who defense hinges on facing an army that hasn't been built to excel in the psykic phase. It may be hard for armies with just one pysker to cast powers but what if you face an army with 3 psykers, or very powerful pyskers, or an army with a lot of powerful pskers? What then? Is it fair that against this army build to excel in the pyskic phase that you can only dispel their powers on a 6+? All well and good, but when you compare to the 6th Edition Psychic powers, where there was exactly 0% chance of dispelling a power that was not targeted at a unit, This is easier to dispel. Comparing the psychic phase to Fantasy's Magic phase, imo, is wrong. While similar, They are different. 40k's Psychic powers are no where near the level of fantasy, may I point to Dweller's below, and the "The dreaded 13th spell"? Both will eradicate a unit if cast, whereas, as far as I know there are no powers quite like that in 40k. (While I know about the Vortex of Doom power, it's not a squad's worth of [virtually] instant kills. Fantasy and 40k are two very different beasts. Yes, I think not giving the races without psykers a special bonus to "Deny the witch" was a bit of an odd move if not exactly a mistake. That is not forgetting the rather abusive 30+ Warp charge "Daemon summoning Daemon" lists that have popped up, which while funny for the controlling player, They don't seem to be the most fun to play against. Though lists like that, 'Cheese' lists, are hopefully not going to be too common. They happen in Fantasy, where loopholes and exploits make one particular unit or power OP, and they happen in 40k. The Games Designers at GW are only Human (Even if they may like us to believe otherwise). And remember, an army built to be strong in one phase is usually weaker in the others, and so is defeat-able. So now you have say a 5% chance to dispel a power, I know it is still an improvement but come on it’s the weakest improvement in the history of rules changes. Also on the case of Cheese lists I am not saying that WHFB doesn’t have them, have you faced a Warriors of Chaos Throgg List? Where the Core troops are Chaos Trolls, its not unbeatable (in fact its actually quite easy to beat provided you have the right tools) but is is still a hard list to face. WHFB is the more balanced game, there is no Tau/Eldar of WHFB, all the army books are fairly balanced each with their own strengths and weaknesses, and the number of lists that are very hard to beat is way smaller than in 40k. Also very few spells in WHFB will instantly kill a whole units worth of models. Yeah if you are a orger player and your unit of 6 models gets hit with Pit of Shades or Purple sun then you may well loose the unit, but that’s rarely the case, more often than not those big spells will do a large amount og damage but will not wipe out whole units in one go. While the GW design team may indeed by only human that doesn’t prevent them from doing things like playtesting the game before releasing it. Video Game companies understand this concept and will often put the online part of their game out there in beta form to allow the community to find all the bugs and exploits, they then fix said bugs and then release the full version minus the bugs/loopholes and exploits, what stopping GW doing that? At the end of the day I think the Psykic Phase was a nice idea that was poorly executed. Its all about balance, which is certainly lacking in the psykic phase. Psykers really need to watch how many dice they roll now. My daemon prince died to perils last night without doing anything useful. Unlucky I guess but potentially could cost you a game.